Think about this for a moment: 165 million people in India don’t have access to a bank account. If this population were a country, it would sit between Nigeria and Bangladesh as the world’s eighth largest nation. 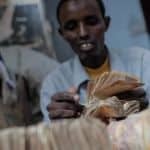 However, with mobile technology rallying across the emerging markets, the tools to turn the tide on financial inclusion are finally within reach. India is home to 1 billion mobile users, creating a vast opportunity to enable millions of consumers to access financial services through a simple handset. As a “profit with purpose” investor, we at LeapFrog Investments find, back and support innovative businesses serving some 2 billion low-income emerging consumers across Asia and Africa. Increasingly, the businesses most capable of reaching the previously unreachable are those that leverage the accessibility, affordability and speed of technology to deliver financial services. In India, one of our key investment markets, the government has played a uniquely innovative role in increasing financial inclusion. State programmes offering citizens biometric ID cards have allowed microfinance officers to complete KYC (know your customer) and credit bureau checks of rural customers in real time, without requiring customers to travel to branches and take time off work to do so. At LeapFrog, we’re seeing the pivot toward mobile-enabled businesses firsthand. Fincare, a leading Indian financial inclusion platform, and LeapFrog partner company, is expanding its tablet-based mobile loan origination system for its field staff to provide real-time KYC and credit bureau checks for consumers, enabling instant account opening and reduced turnaround times. This kind of efficiency is particularly transformative for those in rural areas, who make up about 95 percent of Fincare’s customer base. Another LeapFrog partner company in India, IFMR Holdings – the market leader in Indian financial inclusion whose subsidiaries reach more than 20 million low-income consumers – has begun to use a tablet-based solution to analyse the financial needs of rural customers and offer them relevant insurance and other financial products. As a result, low-income individuals in rural India are being brought into the financial services supply chain for the first time, and gaining access to a wider range of financial tools than would normally be available. Digital technology and analytics are also driving access to credit for micro and small businesses across India. For instance, several credit players have created apps that crawl SMS and other smartphone data to assess the credit of underserved customers in the informal economy. India’s upcoming unified GST (goods and services tax) regime is expected to catalyse the digitization of informal economy transactions, and thus boost financial services to micro and small businesses. While India is leading the charge, this story isn’t limited to one country. In fact, it’s a dynamic playing out across the world’s emerging markets. 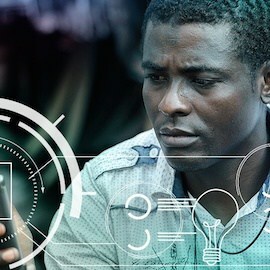 In sub-Saharan Africa, for example, only 34 percent of adults have formal banking relationships, creating an opportunity ripe for digital innovation. Yet these leaps in digitization must be paired with a focus on consumer education and awareness to drive long-term, sustainable results. Low-income consumers must believe that they can benefit from the digital movement of money to truly adopt it. Educating 2 billion emerging consumers may sound like a daunting task. But it can be done! Here is one example, observed by Kshama Fernandes, CEO of IFMR Capital, a debt capital markets platform for Indian lenders and also a LeapFrog partner company. In the shadows of the white concrete tower of the Bombay Stock Exchange, a man named Paramesan Gowda dealt with brokers and bankers down on Dalal Street as he had for years – plying them with sandwiches. When Gowda wanted to utilize the financial industry that surrounded him to get a loan, a credit officer spent two days with him, counting his sandwiches from dawn to dusk as he delivered to the 24 floors of the exchange, and then interviewed his neighbors before providing a 9 lakh-rupee ($13,965) credit enabled by IFMR Capital. This enabled Gowda to enter, and benefit from, the formal financial system. But this was two years ago; today, access to financial services has become even quicker and easier for first-time borrowers like Gowda thanks to digital innovations such as tablets and apps. India is experiencing the benefits right now, and the global scale of technology will allow countries around the world to do the same. We’re excited to be part of this historic shift. Michael Fernandes is partner and co-head of Asia at LeapFrog Investments. Photo courtesy of LeapFrog Investments.